John Stossel is an American consumer television personality, author, and libertarian pundit, known for his career on both ABC News and Fox Business Channel. Stossel's style combines reporting and commentary. It reflects a libertarian political philosophy and views on economics which are largely supportive of the free market. He began his journalism career as a researcher for KGW-TV, was a consumer reporter at WCBS-TV in New York City, and then joined ABC News as a consumer editor and reporter on Good Morning America. 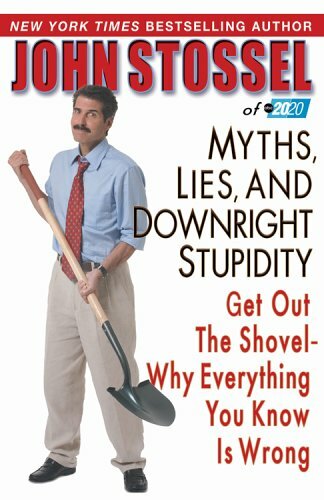 Stossel went on to be an ABC News correspondent, joining the weekly news magazine program 20/20, going on to become co-anchor. 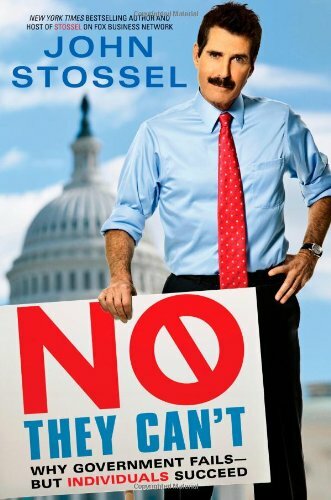 In October 2009, Stossel left his long-time employment at ABC News to join the Fox Business Channel, as the host of a weekly news show on Fox Business, Stossel, which was broadcast from December 10, 2009, to December 16, 2016. 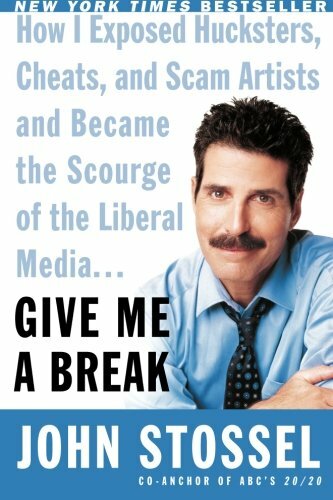 Give Me a Break: How I Exposed Hucksters, Cheats, and Scam Artists and Became the Scourge of the Liberal Media. You went from a crusading consumer reporter—who won 19 Emmy’s and lots of other awards—to a leading voice in the libertarian movement. How’d that happen? Were there certain books, or authors, who influenced you towards libertarianism? In your book, Give Me a Break (2004), you discuss the FDA announcing a new heart drug that will save 14,000 lives per year. Not one journalist asks: does that mean you killed 14,000 people per year delaying the approval. Why do you think that is—that people think the government can do no harm? I think of all the government regulations—like the Consumer Product Safety Commission, the ultimate in mamby-pamby-eat-your-vegetables Nanny statism, designed to create a riskless world. But as you point out in the book, it’s not the Nanny State: It’s the Nurse Ratched State (from the movie, One Flew Over the Cuckoo’s Nest). It seems like regulations have gone too far to the other side. Do you agree with that? We hear a lot about “market failure.” But I’ve learned from economists that a lot this failure is due to no market existing (KFC is not going to let chickens become extinct). In the book, you talk about fires, and today in California fires are burning 455 square miles. A UC Berkley study said there are 100 million dead trees, which is kindling. [Private forests are not likely to burn. If it did, the CEO of International Paper would be public enemy number one, and his company would face bankruptcy, etc.] And yet people will call for government to control more land. Isn’t it frustrating? We have a mantra here at TSOE: The only antidote to poverty is wealth creation, and you point out that poverty is the number one killer on the plant, more so than smoking, driving, murder, fires, toxic waste, flying, etc. Capitalism has lifted nearly 1 billion people out of poverty in the past 10-15 years, yet this story is unreported in the main-stream media. Why do you think that is? In the book, you write “I told Donald Trump he was a bully when he tried to force Vera Coking out of her home so he could expand his casino in Atlantic City.” “Nobody talks to me that way,” he said. She kept her home. How would you grade President Trump so far? The moral hazard of government: FDA, SEC, etc., gives its imprimatur, and consumers/investors think all is well, engage in the risky behavior. In the book, you quote H.L. Mencken: “The urge to save humanity is almost always only a false-face for the urge to rule it.” What is your take on Climate Change? Do you think there’s a strain in the environmental movement—the so-called water melons, green on the outside but red in the inside—since the call is always for more taxes, government, etc.? When you see the popularity of Bernie Sanders, and Alexandria Ocasio-Cortez (the person that would result if Chauncey Gardner had a child), and she’s got a degree in economics and international relations from Boston University, and a majority of young kids support socialism, are you optimistic with respect to liberty and freedom in the future expanding? You had a piece on Reason.tv yesterday on the economic ignorance of Bernie Sanders. Sometimes it seems as if the libertarian party can’t get out of our own way. What’s your observation? One of the first reports you did for Reason.tv was on saving the rhino, and you confront the environmentalist on the use of artificial horns. You seemed to get very perturbed with her, since she insisted on a total ban. In a more recent interview with Jordan Peterson, he seemed more angry than anywhere else I’ve seen him. Do you think he’s being worn down by all that is happening to him? Another piece I just love you did around June, you had a confrontation with the Mayor and City Council of Edgewater, New Jersey about a housing development they are not allowing to be developed because they didn’t know the right people. Any update on that situation? Another challenge many people have is seeing the difference between capitalism and cronyism. I think these terms have been conflated. Is that your observation as well? Bill Gates seems to have been chased away by the Department of Justice, accused of giving away a product to consumers for free. One of the things that just makes me crazy around the holidays is the notion that businesspeople have to give back, which implies a taking that never took place. There’s a great theory that economist Mike Munger makes [See our interview with Michael Munger, Episode #190]: The Unicorn Theory of Government. How the government is going to solve their problems. We also have to be open to the fact that the libertarians have our own unicorns—the free market will solve everything. Do you see some role for government, or are you moving more towards anarcho-capitalism? Clearly what you do is incredibly creative process, tell me how you work—how does your team go out and vet stories, what’s that process like for you guys? What do you try to do differently than what you did at the larger networks; is there anything different to the process? How many videos are you working on at any given time? Do some not make it at all? Looking back on the last year, what were some of your favorite videos? When did you first read Ayn Rand’s Atlas Shrugged? Some of her insights were so prescient, and seem to be becoming a reality? Are we going to get another book from you, or are you mostly going to concentrate on the videos?